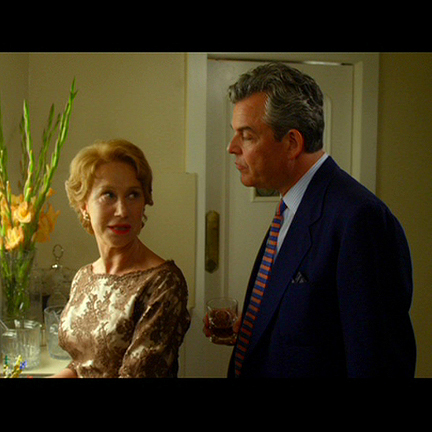 This dress was worn by “Alama Reville” portrayed by actress Helen Mirren in the 2012 feature film “Hitchcock”. 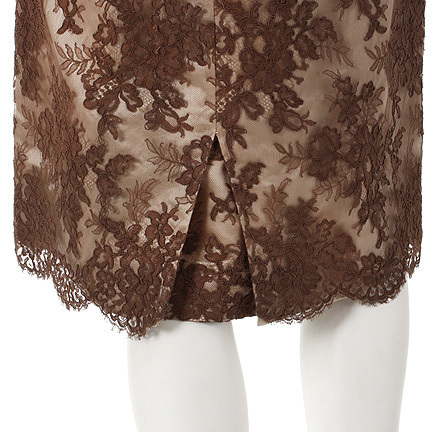 The vintage 1950's dress is constructed out of a taupe acetate material with a brown lace overlay and is in excellent condition. 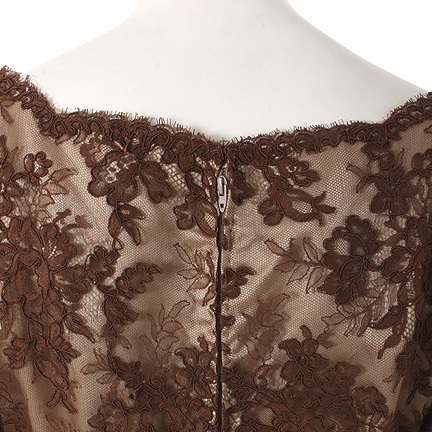 Attached to the garment is the costume HOLD tag with “Hitchcock #2 Alma Beige Dress with Brown Lace Overay, Scene 19-21” printed. Alma can be seen wearing this dress when Alfred Hitchcock (Anthony Hopkins) invites the press into his home to announce his next picture, "Psycho". 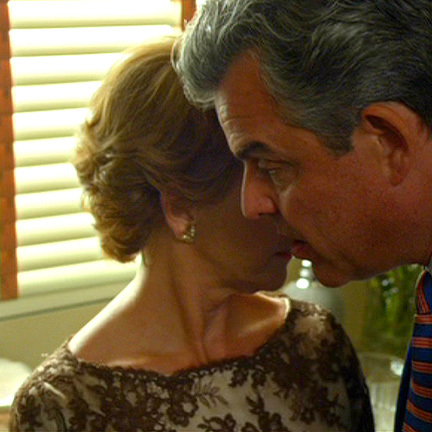 Alma is in the serving room complimenting Whitfield Cook (Danny Huston) on his script when Hitchcock interrupts her by entering the intimate small space. 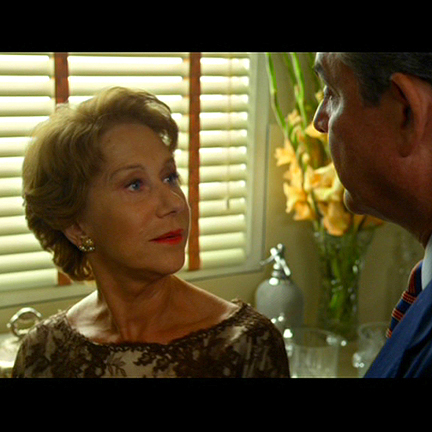 Hitchcock was directed by Sacha Gervasi and stars Anthony Hopkins in the title role, as well as Helen Mirren as his wife “Alma.” This biographical film centers on the relationship between the couple as Hitchcock makes “Psycho” the film that became one of his most acclaimed and influential works. This costume comes accompanied by a letter of authenticity from the costume house.